Yaw Preko has left the country for a ten-day attachment training at former club Gaziantepspor in Turkey. 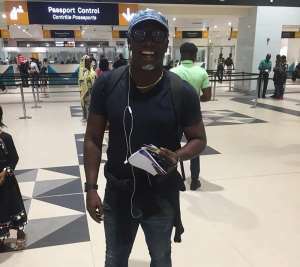 The former Ghanaian international left the shores of the country on Monday as he looks to improve on his coaching instincts with some European training. The award-winning trainer played for Gaziantepspor from 1997 to 1999 before joining Fenerbahce SK and returned to play for them again from 2002 to 2004. He is currently unattached after his spell with Nigerian top-flight side FC Ifeanyi Ubah came to an end in October 2017. Preko was the assistant coach to Japanese-American Kenichi Yatsuhashi during his spells at Hearts of Oak and Inter Allies FC. The 44-year-old has been an assistant coach for Ghana at the U20 and U17 levels.